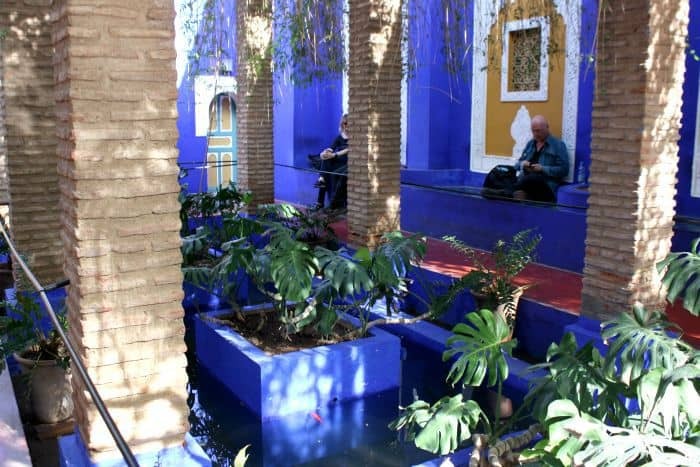 In 1924 the French artist Jacques Majorelle constructed his largest art work, the Majorelle Garden in Marrakech, Morocco, and painted the garden walls, fountains, features and villa this very intense shade of blue, for which he trademarked the name Majorelle Blue. 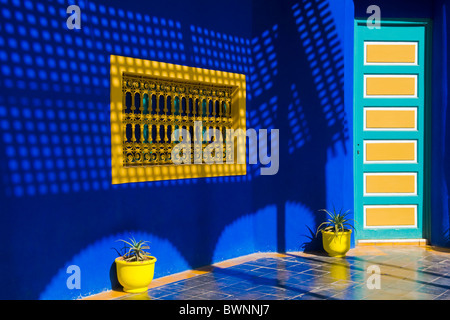 He had noticed the colour in Moroccan tiles, in Berber burnouses, and around the windows of buildings such as kasbahs and native adobe homes. During his lifetime, Majorelle earned a reputation as a celebrated Orientalist painter. 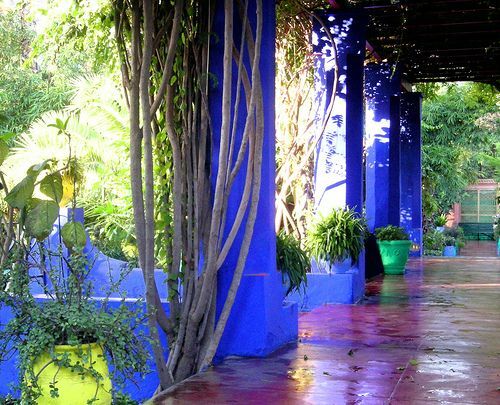 Though Majorelle’s watercolors are largely forgotten today, the gardens remain as his creative masterpiece. 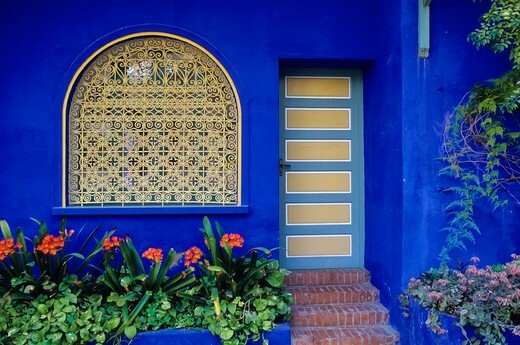 The special shade of bold cobalt blue, inspired by the coloured tiles he had seen around Marrakech and in Berber burn-houses, was used extensively in the garden and its buildings and is named after him, bleu Majorelle—Majorelle Blue. 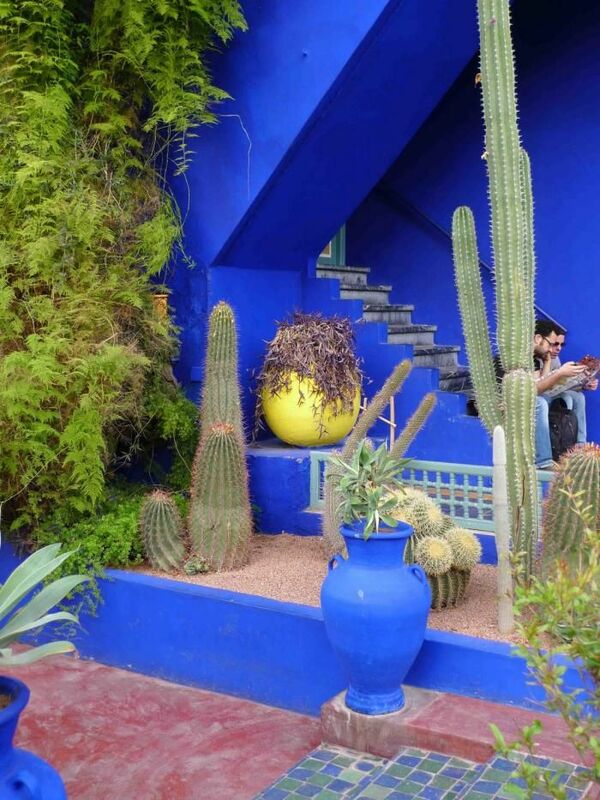 Prior to his death, Majorelle patented the colour which carries his name. The garden was owned by Yves Saint-Laurent and Pierre Bergé between 1980 and 2008. 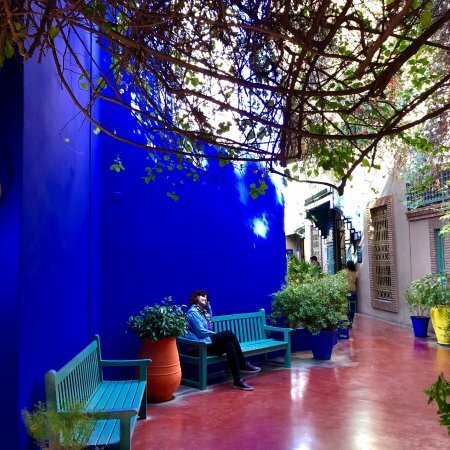 After Yves Saint Laurent died in 2008 his ashes were scattered in the Majorelle Garden. See also List of colours References This colour-related article is a stub. You can help Wikipedia by expanding it. 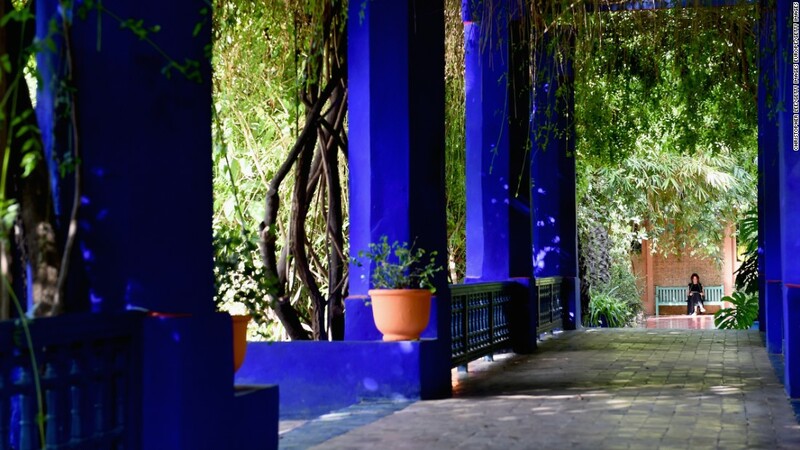 In 1923, just four years after his marriage to Andrée Longueville, Majorelle purchased a four-acre plot, situated on the border of a palm grove in Marrakech and built a house in the Mooroccan style. In 1931, he commissioned the architect, Paul Sinoir, to design a Cubist villa for the property. Gradually, he purchased additional land, extending his holding by some 10 acres. 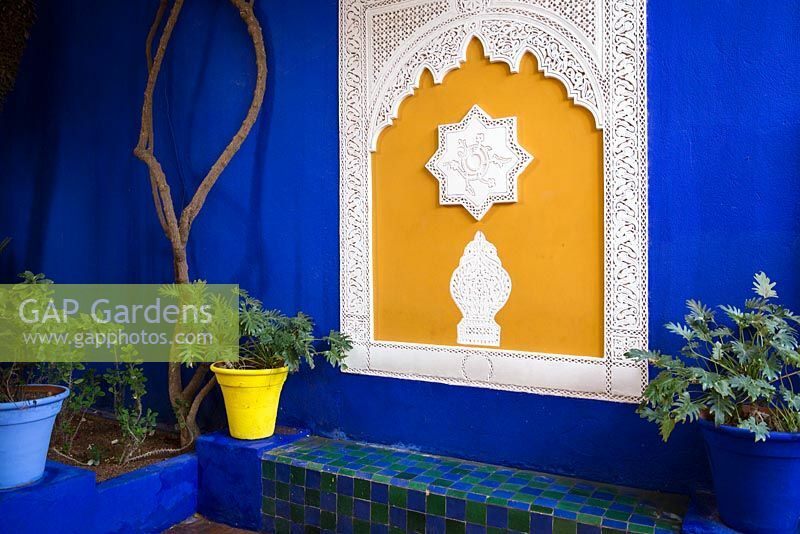 In the grounds around the residence, Majorelle began planting a luxuriant garden which would become known as the Jardins Majorelle (Majorelle Garden). The garden became his life’s work and he devoted himself to developing it for almost forty years. 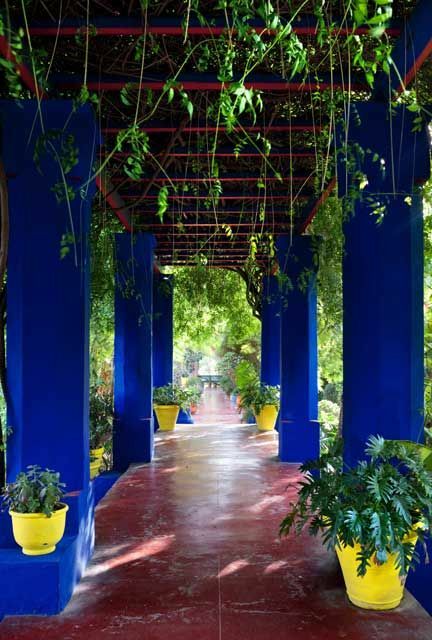 The garden proved costly to run and in 1947, Majorelle opened the garden to the public with an admission fee designed to defray the cost of maintenance. 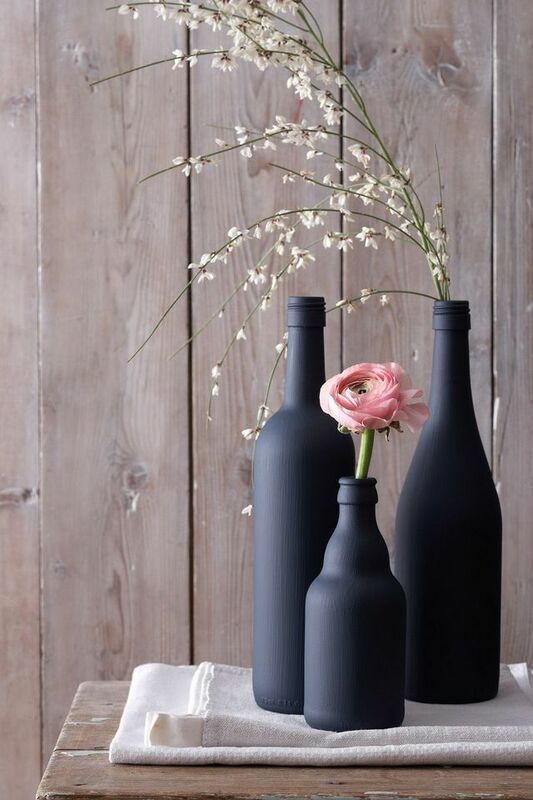 At times, he sold off parcels of land to fund the growing garden. 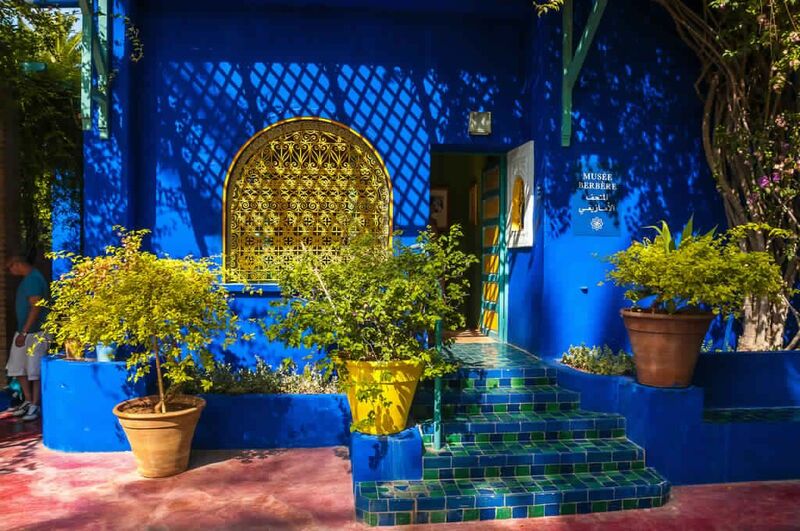 Following his divorce in the 1950s, Majorelle was forced to sell the house and land. After this, the garden was neglected and fell into disrepair. The garden and villa were rediscovered in the 1980s, by fashion designers, Yves Saint-Laurent and Pierre Bergé who set about restoring it and saving it. The Majorelle Garden (French: Jardin Majorelle, Arabic: حديقة ماجوريل‎ hadiqat mmajuril, Berber languages: ⵓⵔⵜⵉ ⵎⴰⵊⵓⵔⵉⵍ urti majuril) is a two and half acre botanical garden and artist’s landscape garden in Marrakech, Morocco. 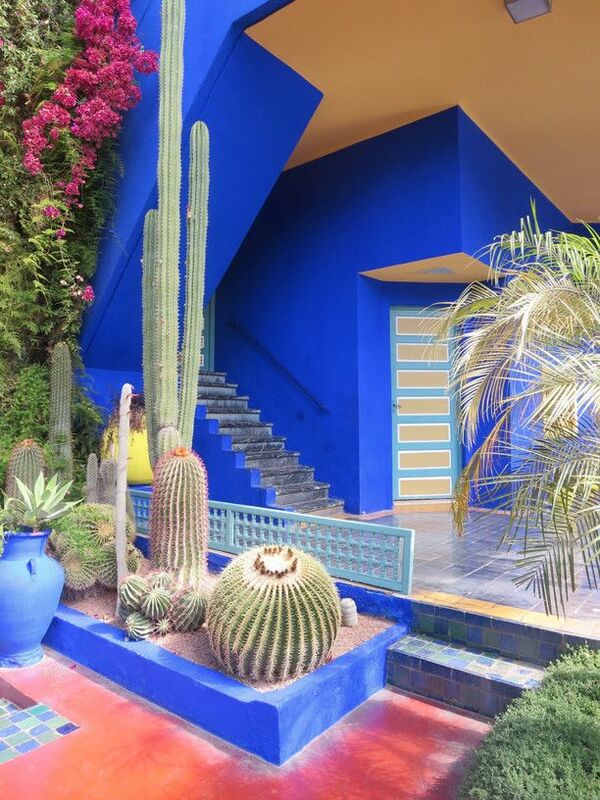 It was created by French Orientalist artist, Jacques Majorelle over almost forty years, starting in 1923 and features a Cubist villa designed by French architect, Paul Sinoir in the 1930s. The property was the residence of the artist and his wife from 1923 until their divorce in the 1950s. In the 1980s, the property was purchased by fashion designers, Yves Saint-Laurent and Pierre Bergé who worked to restore it. Today the garden and villa complex is open to the public. 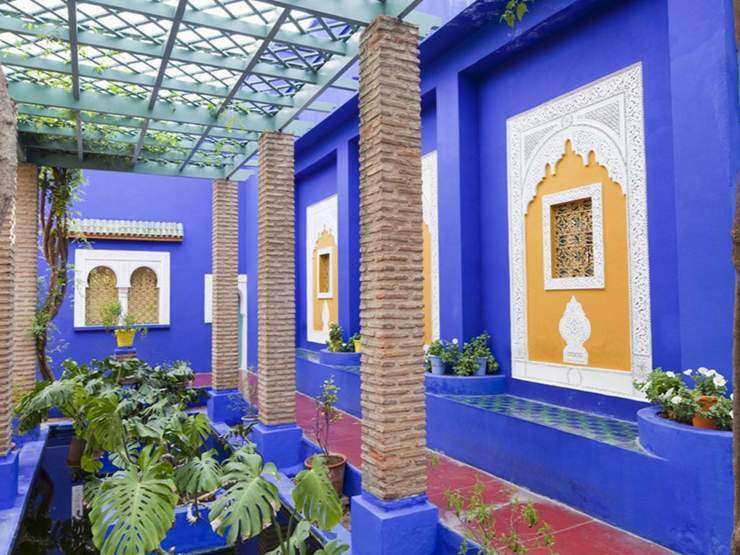 The villa houses the Islamic Art Museum of Marrakech, the Berber Museum and has recently opened the Musee Yves Saint Laurent.